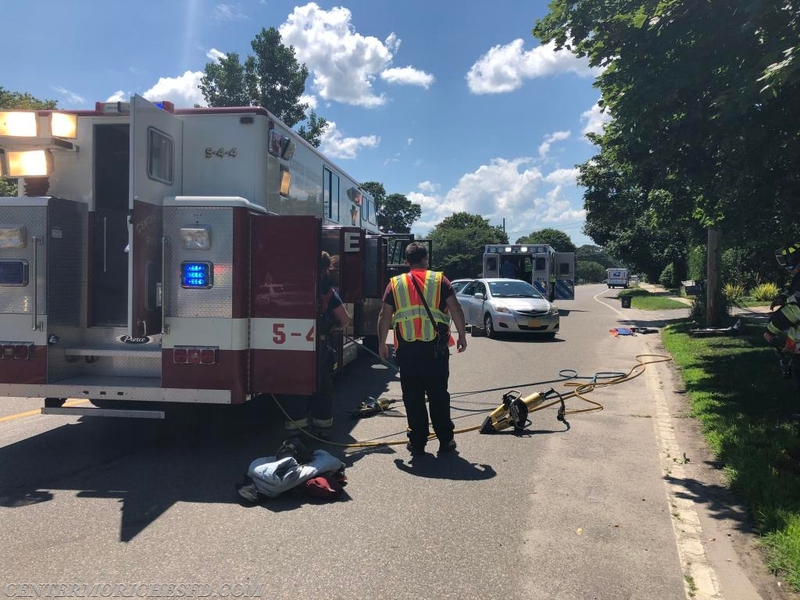 Just after 2pm on Wednesday Center Moriches Firefighters were dispatched to an auto accident with injuries at the intersection of Frowein Road and Chichester Avenue. Firefighters arrived and found two cars in the intersection, the driver of one of the vehicles trapped inside. 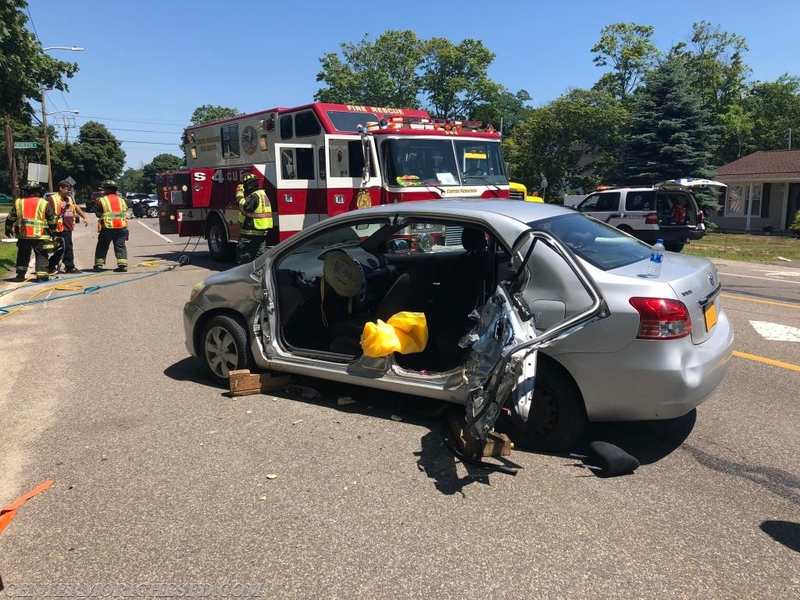 While EMT’s stabilized the driver, firefighters used the “Jaws of Life” to pry the car apart. 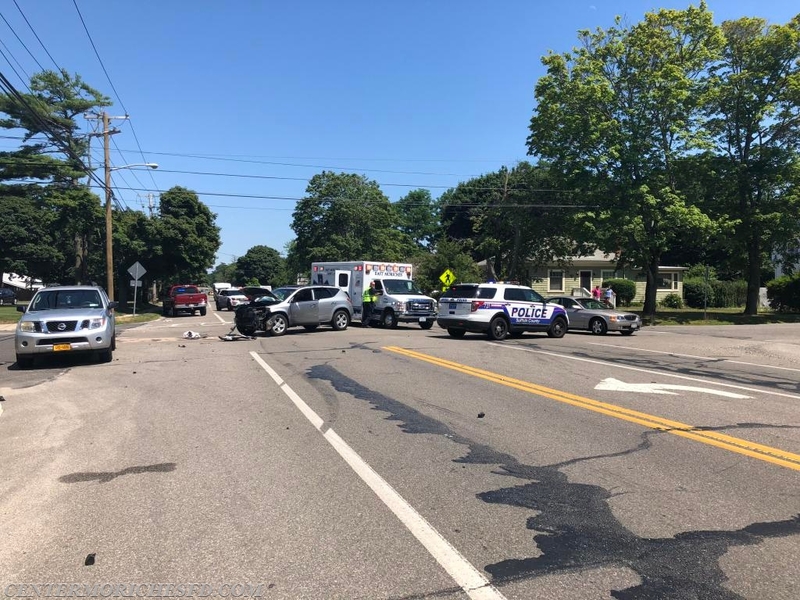 Ambulances from East Moriches Community Ambulance and Shirley Community Ambulance assisted in transporting the injured occupants to a local hospital for further evaluation.